Marianela is a Bilingual (English-Spanish) Speech-Language Pathologist serving Marion County’s bilingual and monolingual families since August of 2014. She has extensive training and experience in identifying language disorders versus language differences. 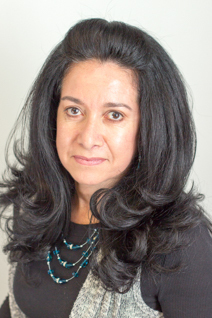 Marianela has worked in the public schools with children ages 3-18 in West Virginia, Virginia, New Jersey, and Texas. She has also worked in the pediatric sector with early intervention in Texas and now in Indiana. Marianela has special interest in evaluation and treatment of bilingual and monolingual children with articulation/phonological processes disorders, fluency disorders, receptive/expressive language disorders. Marianela received her Bachelor’s degree in Communication Sciences from Hunter College, New York and her Master’s degree in Speech Language Pathology from Marshall University, West Virginia. Marianela holds her certificate of clinical competence from the American Speech-Language-Hearing Association and has an active SLP-License from the states of Indiana and Texas. She is also licensed by Indiana’s Department of Education in the area of communication disorders. Marianela has two amazing sons. An Industrial Engineer who lives in Houston and a Civil Engineer who lives in Chicago. She enjoys traveling with her husband and in her free time she enjoys power walking and studying Italian.